（model 3）Profile of panel - HUATONG XINLI FLOORING CO.,LTD. 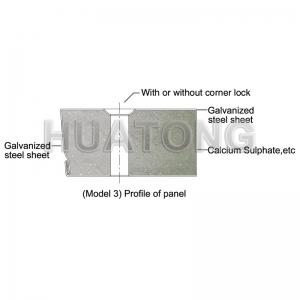 ●Calcium sulphate panels with plastic finish and galvanized steel finish are applicable in offices with the finish floor height from 80mm to 200mm. ●Calcium sulphate panels with HPL finish is applicable in computer rooms with the finish floor height from 150mm to 600mm.